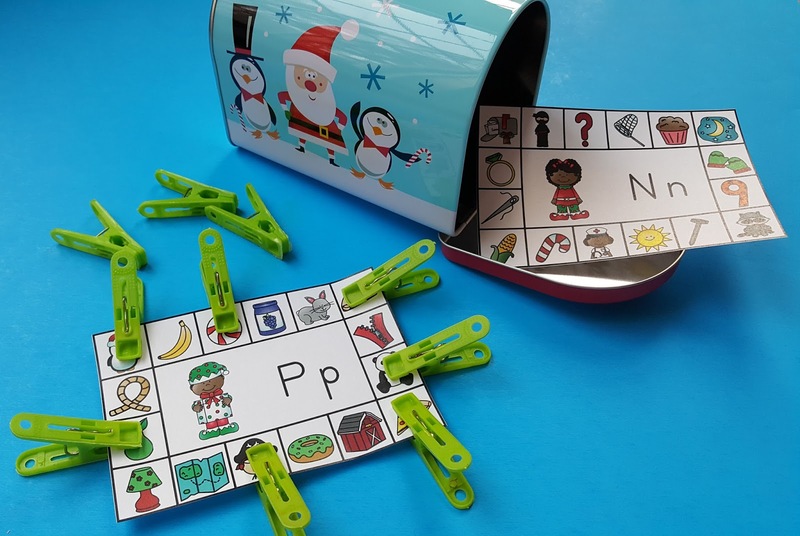 This versatile Christmas elf themed phonics resource offers multiple opportunities for little learners to practice beginning consonant sounds the entire month of December. This packet has large and small clip cards for initial consonant sounds in color and blackline formats. They may be used as clip cards, punch and practice cards, bingo dabber activities, no-prep printables, fine motor pom-pom practice pages, file folder activities, write and wipe activities, and for assessment purposes. The cards are great for morning tubs, early finishers, literacy centers, independent practice, and take home activities.